The Husband and I made a rare trip over the bridge to St Pete. We love it there but we rarely ever go. Seems too far, even though it’s only about 15 miles. Anyway, I found a chair from Ballard Design that I’ve been dying for on Craiglist, so we headed over to get the chair and decided to make a date night out of it. 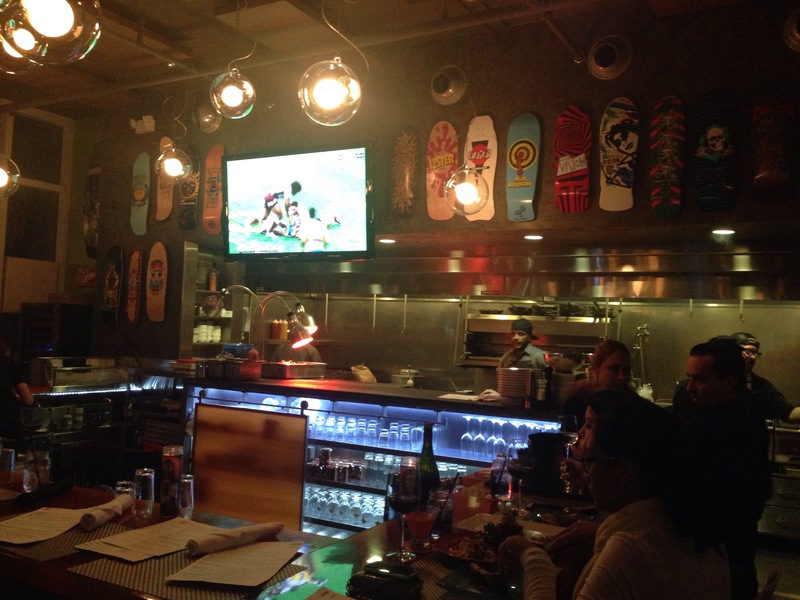 We have a list of local places we wanted to try and decided on Z Grille in downtown St Pete. And I’m glad we did because it was fantastic. 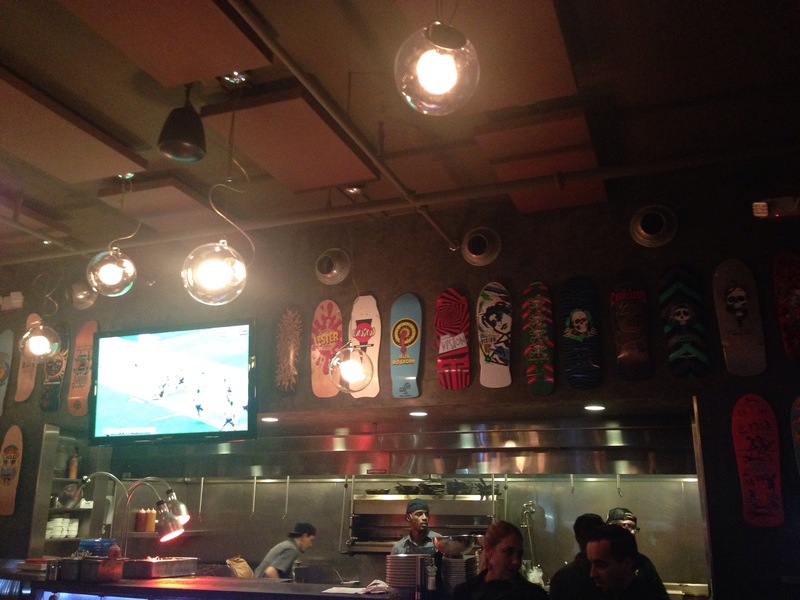 The place looked like a skate shop turned restaurant, with skateboard decks adorning the walls and a half pipe as a sitting area. 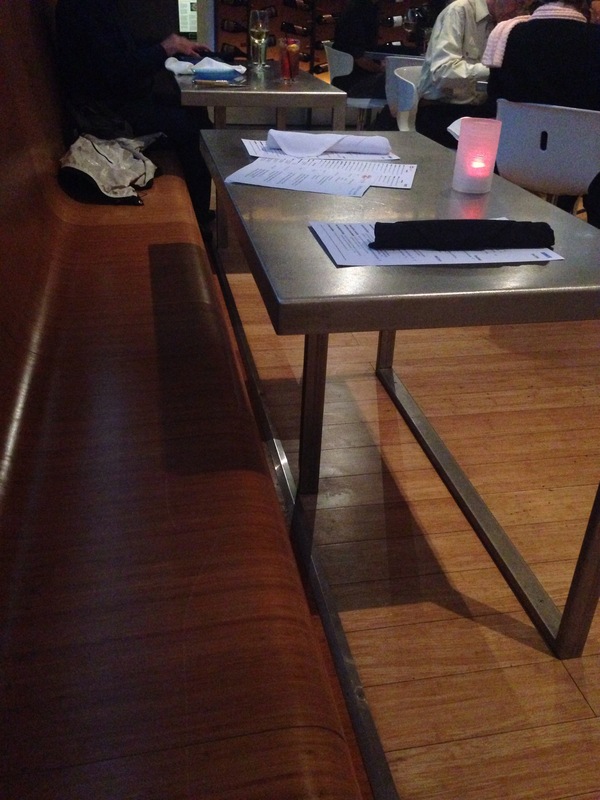 We were seated in the half pipe, where you sit next to each other instead of across from each other. Although that can be uncomfortable in some situations, it worked well here. We both had a view of the street and could people watch and the close proximity to each other made it more romantic than you would expect a place that looks like the X Games to be. 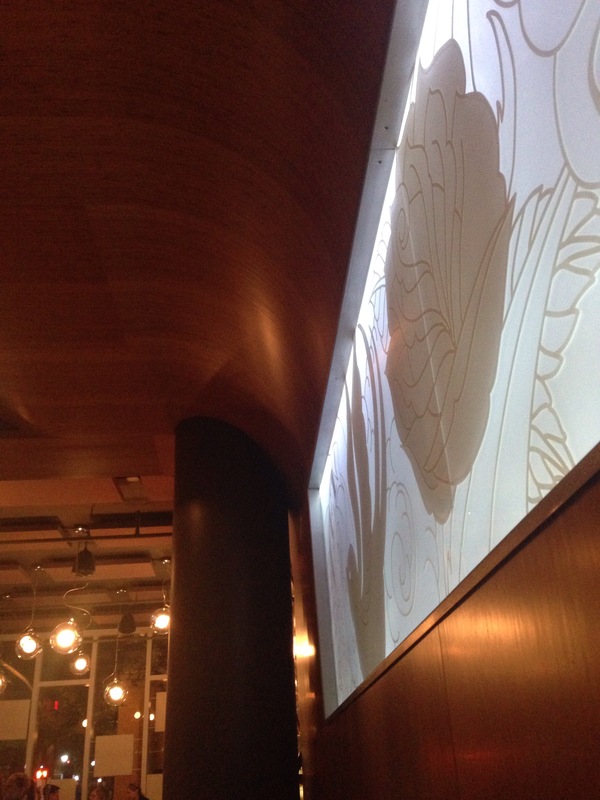 We stated with drinks and appetizers, of course. 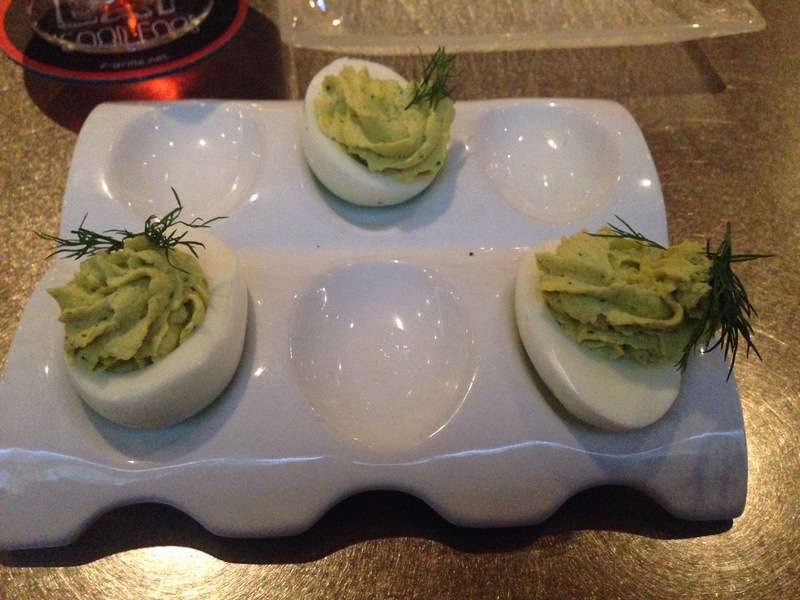 I heard that the deviled eggs were fabulous and one of the flavors were dill and horseradish, which are two of my favorite flavors. And they were fabulous. The Dirty D’s Deviled Eggs. The Husband ordered the Dr Pepper Fried Ribs, and I’m so glad he did. I don’t eat pork or really anything on a bone. It’s probably been close to two years since the last time I tried ribs. But between the waiter and the Husband raving about them, I felt like I would be missing out on something great if I didn’t give them a try. And I definitely would have. I actually ate a whole rib myself, and I would have taken more if I didn’t think the Husband would have stabbed my hand with his fork. 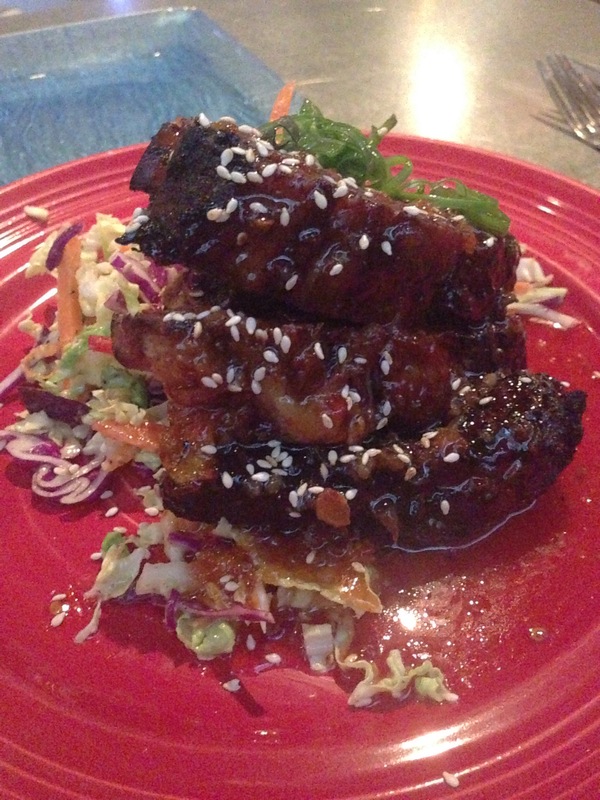 Even if you don’t like ribs you MUST try these! 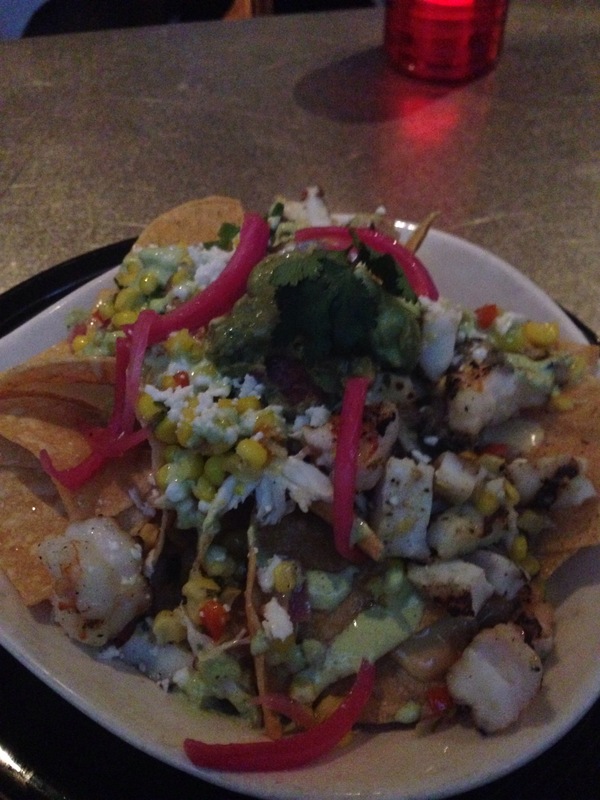 I got the seafood nachos as my meal because it sounded different and delicious. And it was. The chips tasted homemade and the seafood tasted fresh like it was straight out of the water. 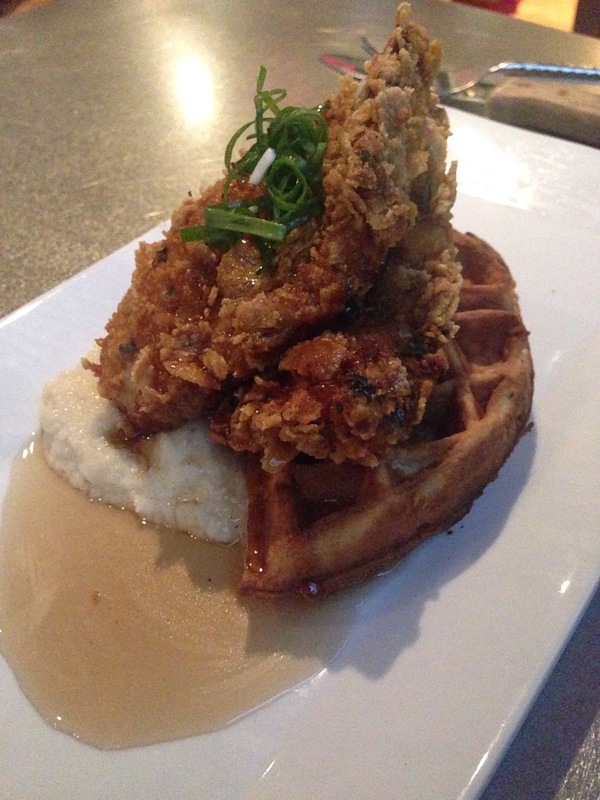 The Husband had the chicken and waffles over grits. The chicken was covered in cornflakes and fried and the waffle had bacon and onions in it. It was so good and so full of flavor. Even the grits (which everyone knows I hate) were really, really good! The next time you find yourself in downtown St Pete make sure you stop by Z Grille. I may even (maybe) cross the bridge just to go back sometime.